An estimated 64,000 Black girls and women across the United States that have gone missing. 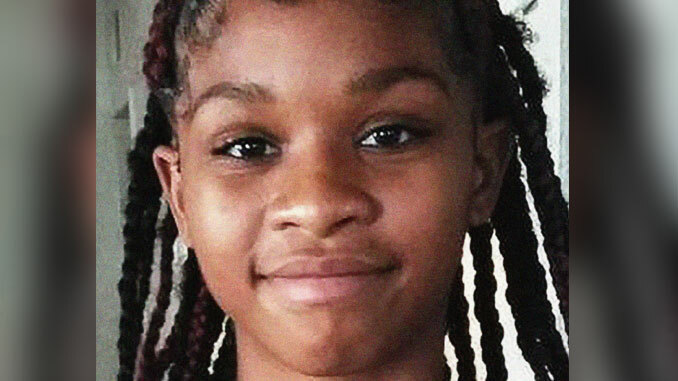 Iniaya Wilson and Skylar Minnie are also among an unfortunately growing number of young people listed in the “critically missing” section of the expansive database of the National Center for Missing & Exploited Children. She’s African-American, has brown hair and brown eyes; standing 5 feet 6 inches tall and weighing 120 pounds. From Lancaster, Calif., Skylar is also Black and just 13 years old. She was last seen on Feb. 14. She has black hair, brown eyes, stands 5 feet 5 inches and weighs 130 pounds. The two are among the estimated 64,000 Black girls and women across the United States that have gone missing. Iniaya and Skylar are also among an unfortunately growing number of young people listed in the “critically missing” section of the expansive database of the National Center for Missing & Exploited Children. That includes girls and women of all backgrounds, an important distinction because of the lack of media coverage of African Americans who’ve gone missing. That has spurred activists and some in Congress to action. Further, the nonprofit Black and Missing But Not Forgotten, also has focused its attention on spotlighting and finding missing African-Americans. Since 2007, the organization has sought to develop relationships with media, government agencies and the public to ensure that missing African-Americans receive prompt attention and concern to garner the best possible outcomes for each case. That concern heightened when investigators in California announced that they were trying to identify the body of a young Black girl who was found dead inside a duffel bag in a suburb of Los Angeles. The girl was eventually identified as Trinity Love Jones. Investigators said the circumstances of her death are still being determined.